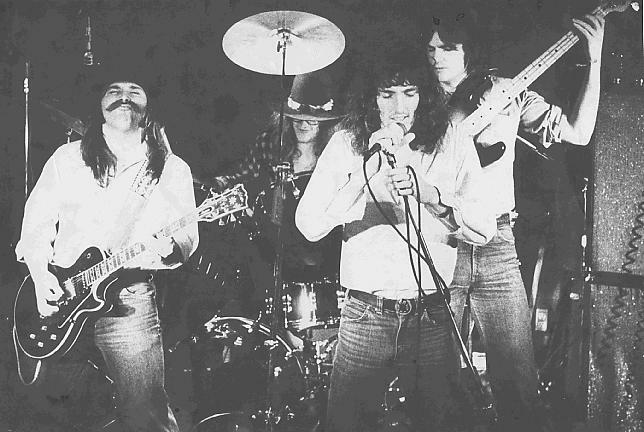 The "Oakley Band" was formed in Halifax, Nova Scotia by Ritchie Oakley after the demise of the popular Maritime group, "Soma". Oakley attracted an ensemble of "the best of the best" when it came to players: Wayne Nicholson and Doug MacKay from the Truro band "Horse", 17 year-old bass whiz, Bruce Dixon, from "Sandy Road" and keyboardist John Lee. It didn't take long for the "Oakley Band" to firmly establish itself as the hardest rocking group around, performing the heady sound of southern rock blues - a blend of well-crafted original material and classic covers. When Lee had to leave the group, Bill McCauley, late of the band "Redeye", capably covered the vacated position. 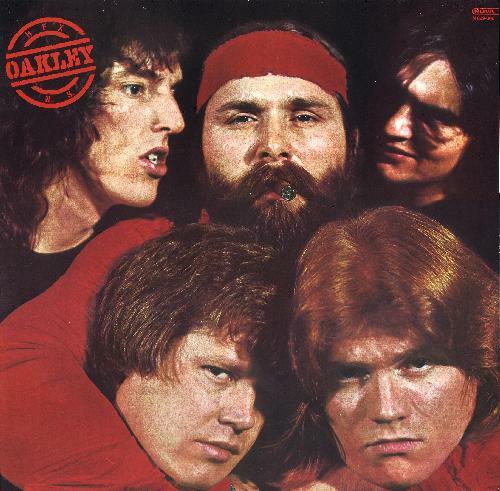 Oakley and Nicholson were the writers in the band and in 1980 a self-titled album was released. The album shipped gold. Oakley released three singles to radio - "Ride 'Em Cowboy," "Stickin With You" and "She's Gone". "She's Gone" also appeared on the Eastern Alliance compilation in 1982 along with the celebrated ballad, "I Almost Call Your Name." The "Oakley Band" worked continuously touring across the country and playing for the summer festival circuit. They lived their reputation for being bad boys-working hard and playing hard. They found themselves sharing the stage with such heavyweights as The Doobie Brothers, Blue Rodeo and April Wine. When Dixon moved on to other opportunities, former Soma member Donnie Morris came on board. A second guitar was added in 1981. Dave Gallant's play created an even stronger unit. To the disappointment of their legions of fans, the "Oakley Band" made its final appearances in 1982. Since then Ritchie Oakley has partnered with Sam Moon to form Sam Moon /Ritchie Oakley Power Unit (they still do some gigs together) and he also plays with the popular east coast country band, Fandango. In 1995 Oakley was honoured by the Nova Scotia Country Music Association as both "Songwriter of the Year" and "Instrumentalist of the Year". The Music Industry Association of Nova Scotia named him 'Producer of the Year" in 1998. He is currently under contract in the role of Music Director for John Curtis Sampson, ECMA 2000 winner for "Best New Artist" and Country Artist of the Year." After 1982 Wayne Nicholson joined the New Glasgow band Granfalloon and recorded the single, "Cheater" which became a local hit. After a stint in Calgary, he returned to Halifax and launched his solo career. After releasing his first project, he signed with Loggerhead records and has recorded a total of 3 CD's, which garnered multiple ECMA nominations. He just recently produced Carson Downey's latest project for Loggerhead. Dixon and McCauley went on to work with Cape Breton's Rita MacNeil. Dixon is currently touring with Roch Voisine. He is sought after for music director positions and is currently working with Ian Janes on his next project. Doug MacKay has played with Sam Moon, Dutch Mason. Sharon B. and, most recently, with Joe Murphy and The Water Street Blues Band. Gallant played with Cheryl Lescom for several years and pursues another passion- Guitar repair. Morris is the long time bassist for country artist Louisa Manuel. Oakley, Nicholson, MacKay, Dixon, McCauley and Gallant reunited on three occasions since disbanding - fans came out of the woodwork in droves! Oakley keyboardist Bill McCauley passed away on Nov 4/ 2000 after going into a diabetic coma. Bruce Dixon is on a new CD by Hantsport N.S. singer/songwriter Ian Janes. On October 4/2003, Oakley reunited to play at Nova Scotia Classic Rock Revival held at the Halifax Forum. Ritchie, Wayne, Bruce, Doug, Dave were joined by original keyboardist John Lee. In May of 2004 the band played again at the Hazen Horsman tribute with Minglewood band keyboardist Jimmy Ralph on keyboards. The band opened for the Headpins at the 2004 Canada Day celebrations on the Dartmouth waterfront with John Lee on keyboards. They again reunited for the "Evening With Scrapper's Friends" benefit on Oct 10/2004. On March 28-29 2008 the band reunited at Monte's Tavern in Dartmouth.